MTN remains of the GSM networks that has continually reinvnted its offerings at one time or the other which explains why its the Nation's number one telecommunications carrier. And it has just launched a new package called the Goody Bag. 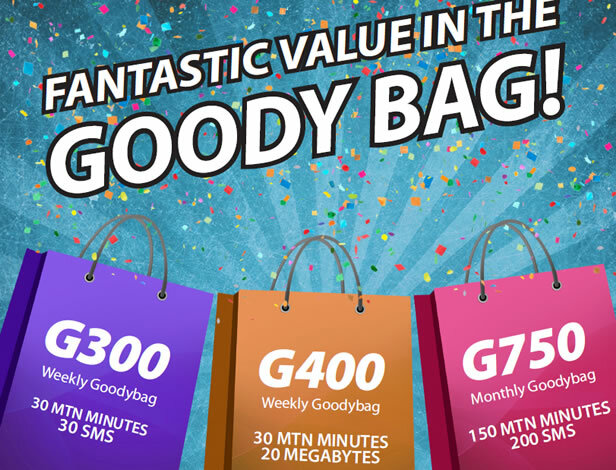 The MTN Goody bag is a unique service that offers customers a certain amount of call minutes, SMS and data at a discounted rate. The MTN Goody bag is a 2013 reimagination of the now defunct FunLink and HappyLink bundles and Etisalat's easy flex package. 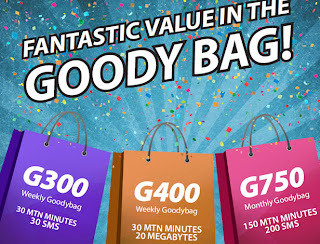 The MTN Goody bag consists of three tiers; the Goody bag 1, the Goody bag 2 and the Goody bag 3, which offer a combination of on-net call minutes, SMS and data.